Not only have ASUS gone and created another interesting design with the TaiChi, they’ve worked their magic on a a device called the ASUS Transformer Book. It’s an Ultrabook at heart but it has a detachable screen. Clearly a device for Q4 and WIndows 8 but, wow! According to a first look post at TechinStyle, we’re looking at a Core i3/5/7 ‘notebook’ with Nvidia discreet graphics, 4GB of RAM, USB3.0, SSD and an HDD option. 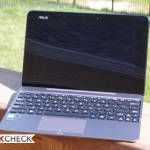 Surely this is an Ultrabook? It will be available in 11.6″, 13″, 14″ variants. We’ve got the ASUS Transformer Book in the database and we’ll be updating and linking news and videos coming out of Computex 2012. Engadget now have a hands on video and photos of the Asus Transformer Book. Taipei, Taiwan (4, June, 2012) – ASUS, a global leader in the new digital era, today announces two exciting new notebooks that embody its ‘Happiness 2.0’ commitment to delivering the best end-user experience – the ASUS TAICHI and ASUS Transformer Book. The Happiness 2.0 philosophy stems from the many ways ASUS is committed to bringing its customers brand new experiences with products that satisfy their needs and expectations. The ASUS TAICHI is a slim and stylish ultraportable with an astonishing key feature – both 11.6″ and 13.3″ models have a brilliant double-sided LED-backlit IPS/FHD display. With a touch screen on the outside of the lid, the TAICHI opens up a whole host of new mobile possibilities as it plays the role of both notebook and tablet. With the lid open, the TAICHI is just like any notebook computer, and comes complete with a full-size QWERTY backlit keyboard and track pad. With the lid closed, however, the TAICHI instantly becomes a multi-touch tablet computer with stylus support, bringing a degree of flexibility that has never before been experienced on an ordinary notebook. Better still, while they provide access to the same hardware, the two screens are completely independent of each other and can also be used simultaneously, which means the Taichi can be shared with two users for a host of innovative new applications. The TAICHI is as light and thin as the ASUS ZENBOOKT and delivers uncompromised mobile performance, with 3rd generation IntelR CoreT processors, fast SSD storage and dual band 802.11n Wi-Fi. 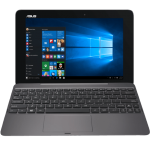 The ASUS Transformer Book is the world’s first convertible notebook – allowing users to instantly switch between a notebook and a tablet by simply detaching the screen. 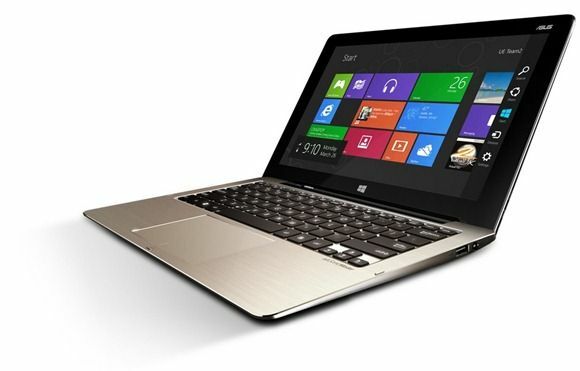 It is aimed at users who prefer the portability of a multi-touch tablet computer for leisure, but still want access to a more traditional Windows-based notebook for productivity use. The Transformer Book features the latest IntelR CoreT i7 processor* with discrete graphics, along with SSD and HDD storage, 4GB DDR3 dual channel RAM, and USB 3.0. It also features ASUS SonicMaster technology developed by the ASUS Golden Ear team to deliver crystal-clear sound with deep rich bass through its integrated speakers. The Transformer Book also sports dual cameras, with a HD front-facing camera and a 5MP rear-facing camera making it a tool for both photo-taking and video chats. 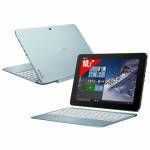 This lightweight ultraportable is available with an 11.6″, 13″ or 14″ Full HD IPS display with multi-touch capabilities. This can be detached from the full-size QWERTY keyboard* to create a highly portable tablet to give the best of both mobile worlds. The same Happiness 2.0 spirit also pervades a host of other new ASUS notebooks. The new G, K and N Series, along with the ZENBOOK Prime, all combine beautiful design with the latest mobile technology to elevate the user experience to an entirely new level. Whether it is the crystal-clear images delivered on an IPS display, the superlative sound quality made possible by SonicMaster audio technology, the enhanced productivity that comes from multi-touch track pads with Smart Gesture support or the instant-on functionality that Super Hybrid Engine II technology provides, ASUS is redefining the idea of the notebook. The notebook is no longer just a work tool; it is a device that plays a vital role in entertainment and education, too. ASUS believes that the value it creates by making the user experience a happy one goes well beyond anything a list of mere specifications can provide – and that is the essence of Happiness 2.0. Now we’re talking. This is looking quite interesting! 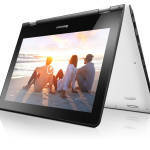 Last year wasn’t half bad either – they presented a lot of very interesting products like the zenbook and the transformer prime. On top of that, my current laptop – an asus – has been nothing but stellar and the best computer I’ve had with a wide margin. YES, YES, YES! This is all I wanted. One device to rule them all; THANK YOU Asus! Now I need battery life and cost numbers and if they don’t make me cry I’ll be a happy, happy man.